Northern Mat & Bridge (NMB) is Canada’s first choice in providing safe, cost-effective temporary access solutions for any industry, including; Power Transmission and Distribution; Pipeline; Oil & Gas; Emergency Response; Renewable Energy; Forestry; Mining and General Construction. 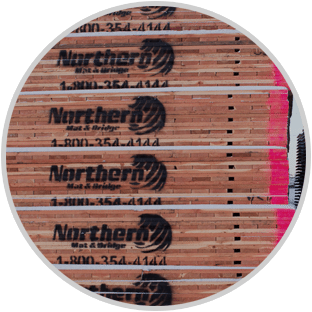 As a leading industrial service provider, NMB is Canada’s largest provider of access mats and have operations from British Columbia to Newfoundland. Specifically, NMB’s turn-key service model provides confidence to our customers that their access needs will be met. 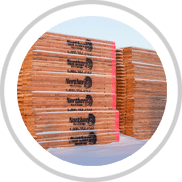 With its internal manufacturing capabilities and fleet of equipment combined with its 50+ yards across Canada, NMB is well positioned to serve its customers. We manage every aspect of your access requirements, resulting in a positive and successful customer experience. 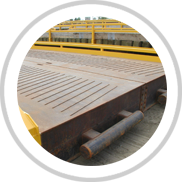 With 24/7 deployment of access mats and bridges, you can be sure to get the products you need, when you need them. Our in-house asset manager and customized tracking software, provides accurate and up to date billing information. 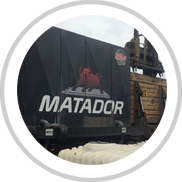 Portable, self-contained & cost effective, our patented Mat Washing Unit -The Matador, washes up to a mat a minute. All of our products are built to stringent standards, inspected thoroughly and tested to ensure reliable use, every time. Our knowledgeable advisors provide you with customized quality service to exceed the dynamic needs of your projects. 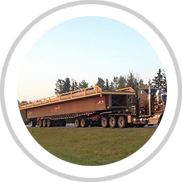 Headquartered in Grande Prairie, Alberta with equipment and staff strategically located throughout the country, we deploy any volume of matting and temporary or permanent bridges whenever and wherever you need them. 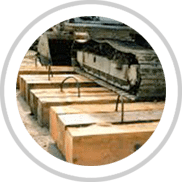 It is our unbreakable commitment to safety, customer service and first-class products which makes us Canada’s premier industrial site access services provider. 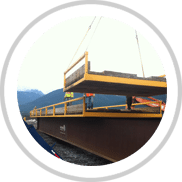 Since 1999, Northern Mat & Bridge has been Canada’s top provider of temporary and permanent portable bridges. 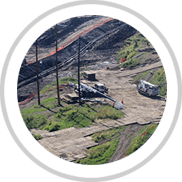 Linear infrastructure projects such as pipelines or power-lines require extensive project exploration. 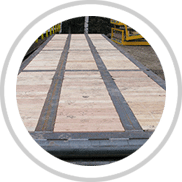 Whether you need access for detour bridging, or a crossing which no longer meets safety regulations, we have a solution that is right for you. Our expert bridge team has spanned virtually every type of crossing and will help you to bridge your gap in a safe, cost effective and environmentally conscious manner. Steel bridges are a quick and easy solution for jobs that require minimal earth works and end fill. Prefabricated in a single structure for fast and easy installation. No assembly required. Heavy duty timber deck mods supported by a rigid steel structure, are ideal for challenging work spaces. Northern Environmental Access Services (NEAS) is a division of Northern Mat & Bridge, developed to minimize environmental impacts from industrial incidents and natural disasters, by utilizing strategically-placed inventory, to facilitate rapid emergency response. Being prepared helps provide better protection of people and the environment, minimizes production down-time and reduces complications caused by public relations. Specially trained crews and an Access Preparedness Plan help save you time when it matters the most. 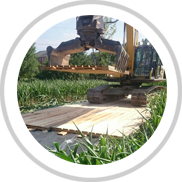 Let us help you minimize ecological disturbance on Private Land, Traditional Land Use Areas, Wetlands etc. The Matador cleans and disinfects access mats faster and more effectively than any other machine on the market.